We’re men. We love crafting stuff. We enjoy DIY projects. The feeling of pride and accomplishment after we’ve single-handedly completed something is ridiculously good. The list you’re about to see has all a man wants: super cool items that are not difficult to make. You will love every single item on this list, even though you didn’t even know you wanted them before. Use all those items you’ve been hoarding around the house and make something you can actually use and enjoy. Just make sure to finish one thing before you start working on the next one. Do it yourself today! What’s better than going to the store to get a cold sick pack? 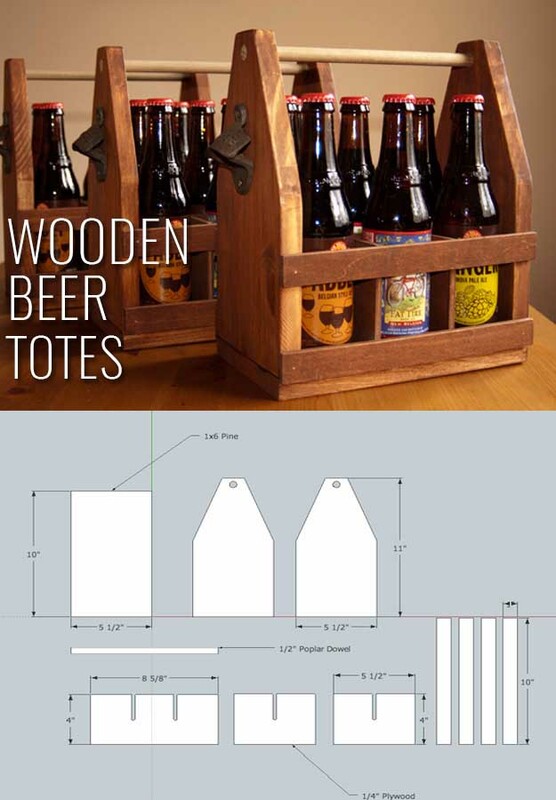 Going to the store to buy beer and carrying it in the wooden holder you’ve made. An amazing item that is easy to create and it’s also a great idea for a gift. Decorate it with your favorite beer’s logo and you’re all set.